George Niles was at the big motorcycle rally in Sturgis, S.D., looking for some grinds. 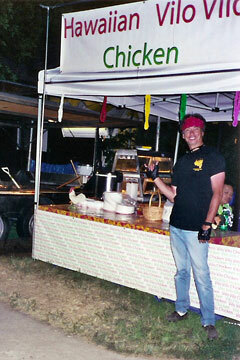 He spotted a Hawaiian Vilo Vilo Chicken stand and looked no further. Niles says the vendors had moved to the mainland from Waimea. 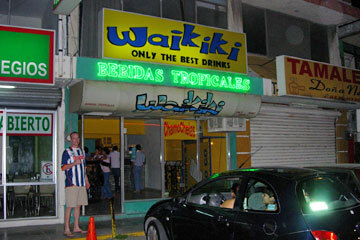 Alan Walls of Waikapu, Maui, who lives in San Antonio, was on a road trip to Monterrey, Mexico, when he shot this photo of Waikiki, a popular spot for "tropical drinks." 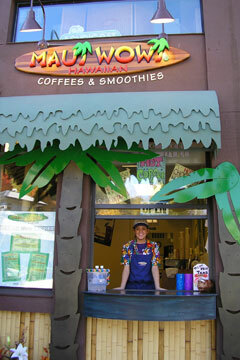 Kathy Wiser found a Maui Wowi coffee shop in Gatlinburg, Tenn.